That’s right. With 3-course lunches costing only $10 or $15, you can fill yourself up nice and good. So good, in fact, that you may need to take a nap at your desk once you get back to work. Crave Grill and Mezzo Ristorante & Lounge are helping to make Eat Your City dinner choices for larger groups that much easier by offering both a $25 and a $35 menu. 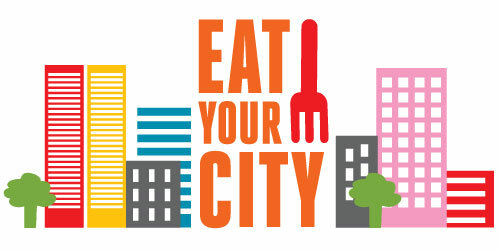 There are many Eat Your City events taking place during the week that you can take that special someone out for a romantic evening filled with fun. Events include Visual Fringe taking place at Artcite, a garden party at Rino’s Kitchen, a wine pairing at Crave Grill and of course the Flicks & Fare Food Film Festival taking place at the Capitol Theatre on August 6 where we’ll be showing the film ‘Grown in Detroit’. All week, Sprucewood Shores Estate Winery is offering an incredible deal on picnic baskets filled with goodies to use anywhere on their lakefront property. With EYC dinners only $25 or $35 per person for a 3-course meal, how can you go wrong? If you’ve cut back on dining out because times are tough, this is the perfect opportunity to splurge and enjoy a night out. While you’re going out, you might as well invite your friends. The special EYC menus are as good a reason as any to gather up some pals you haven’t seen in a while and enjoy their company over some great food. Always wanted to try that certain restaurant but couldn’t bring yourself to do it? The special menus and prices are an opportunity to do it on the cheap!